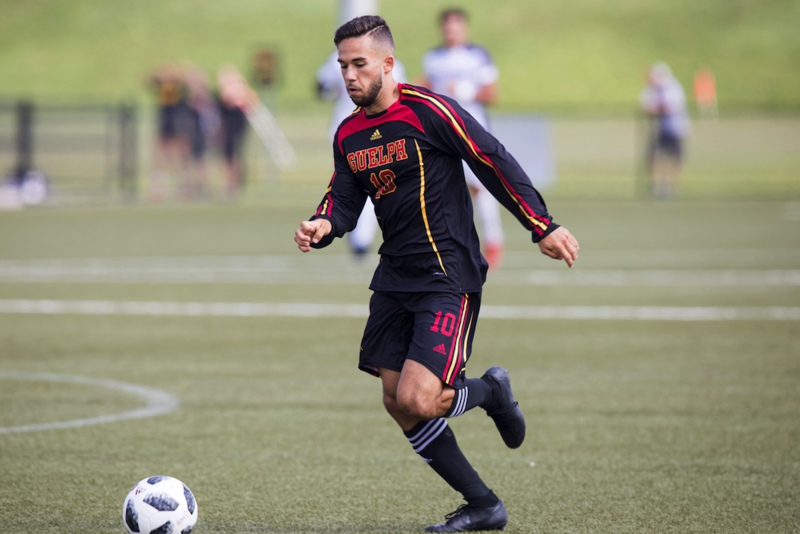 Jace Kotsopoulos of the Guelph Gryphons is the U SPORTS Male Athlete of the Month for September 2018. 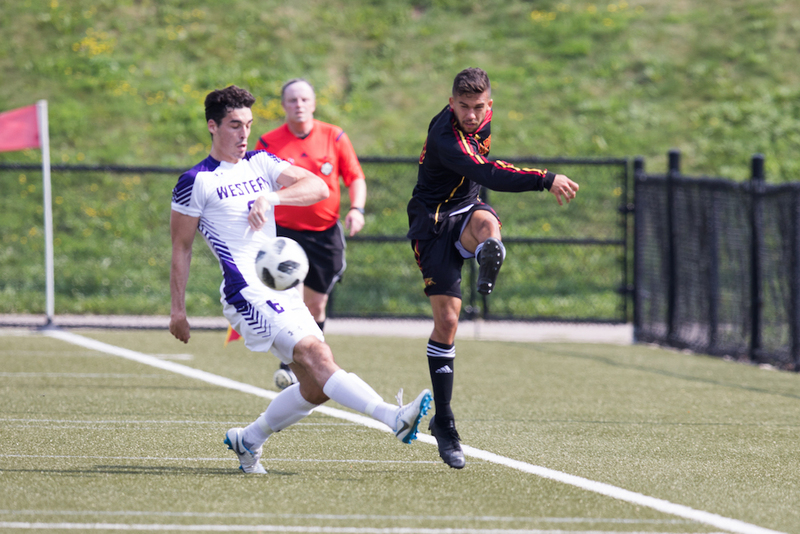 Kotsopoulos was crowned following a 24-hour online campaign, with the public casting ballots through U SPORTS social media channels. 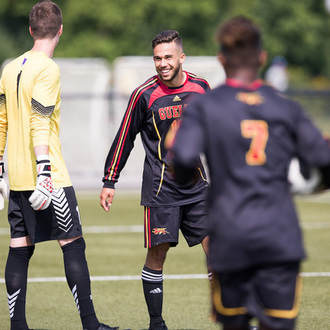 Kotsopoulos entered this season as one of the most dangerous goal-scoring threats in U SPORTS men’s soccer. And the fourth-year Economics major from Burlington, Ont., has more than lived up to the billing. 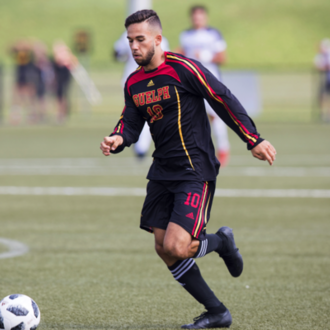 Kotsopoulos currently leads all U SPORTS men’s players with 14 goals this season, many of which have been critical to securing points for the No. 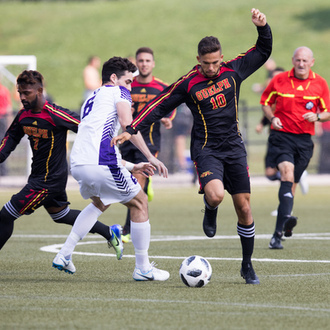 8-ranked Gryphons. 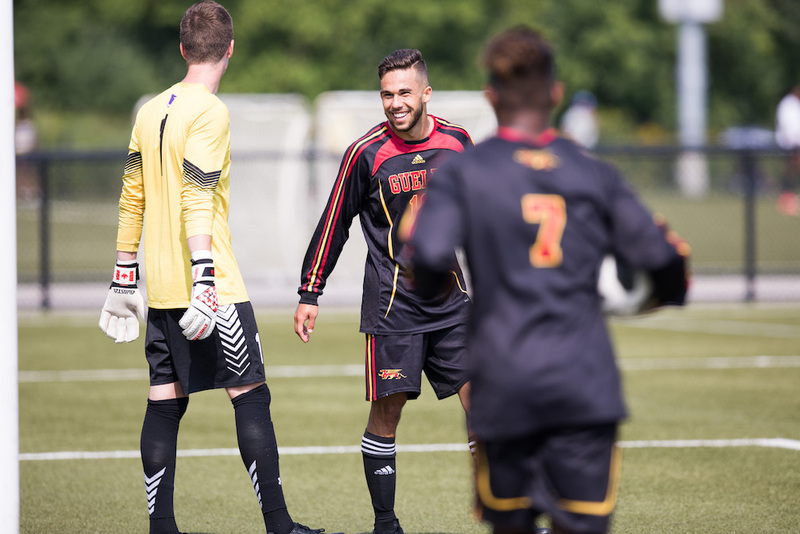 Kotsopoulos scored in six of his eight matches in September, finishing the month with 11 goals overall. 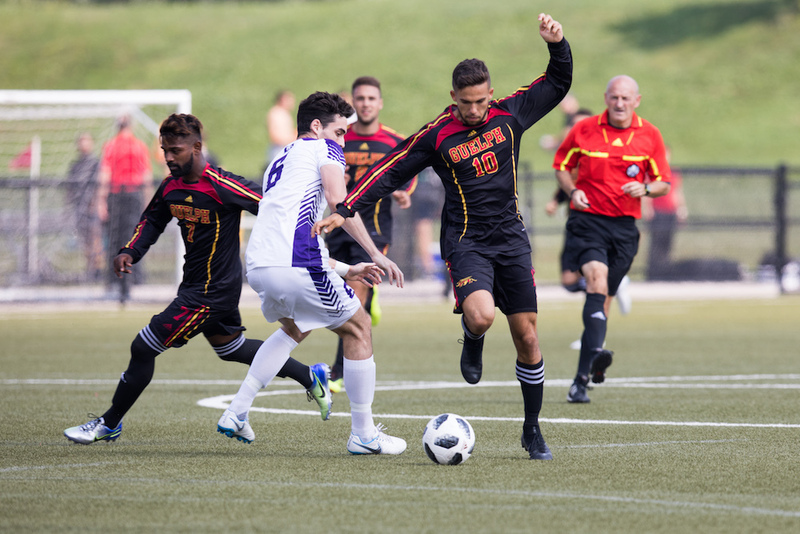 He also became the University of Guelph men’s all-time leading scorer when he bagged both goals in the Gryphons’ 2-0 win over McMaster on Sept. 9. 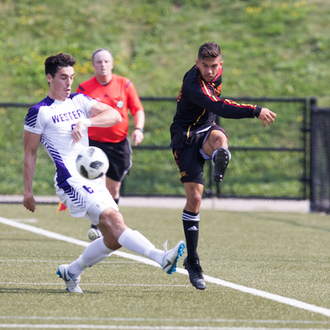 Kotsopoulos had 48 goals to that point, needing one to tie Guelph’s all-time leader Robbie Murphy at 49. He got it in the 75th minute, heading a ball home from inside the area. But Kotsopoulos wasn’t done. 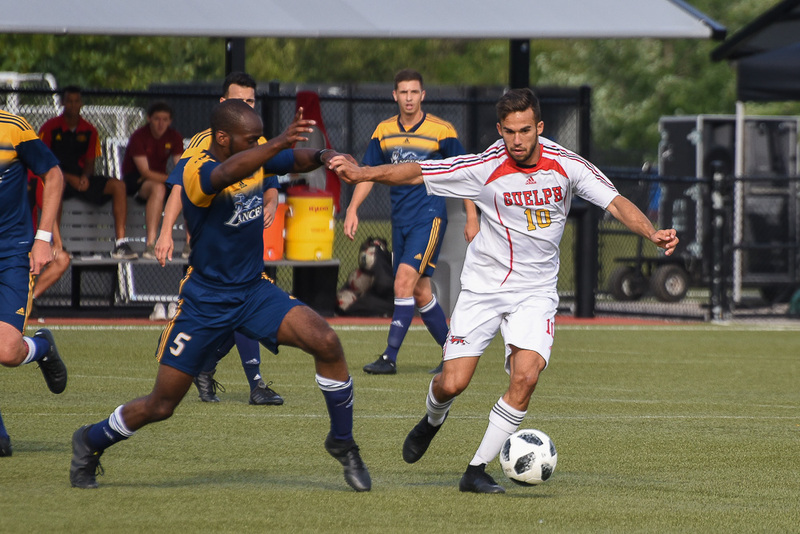 He established the new school record six minutes later when he took a through ball from teammate Jon Amoo, held off a defender on his shoulder, and coolly finished with his left foot into the bottom corner of the McMaster net.